Our wooden handcrafted sunglasses will place you at the center of attention; strongly customizing whom ever wears them. A combination of black sandal wood, wenge wood and UV 400 polarised mirror lenses. Tocca di Legno conveys elegance and timeless fashion. As each Tocca di Legno wooden eyewear is handcrafted, every pair of eyewear guarantees individual attention to detail and quality. UV 400 polarised reflective color lenses allow dynamic color changing depending on angle and light which provides an intense look. Our idea is to create original wooden sunglasses using quality material, unique designs and superior techniques so you can enjoy wearing them for years from now. Tocca di Legno eyewear is a mix of eternal style with luxurious hardwood that makes a bold statement. Domestic orders are shipped via SHIPROCKET and Overnite Courier. It takes about 7 days for a Tocca di Legno Eyewear to reach you once your order is placed and processed. Items purchased directly from our online store and found defected or damaged are eligible for returns/exchange. Proof of purchase and original packaging are required for eligibility. Additional billing may be required depending on the nature of your request, in which case a customer service representative will work with you to ensure the completion of your new order. Once received, your new exchange will ship within 10 days. Returns must be postmarked for return within 10 days of the date of delivery to you. Tocca di Legno eyewear warrants products against manufacturing defects in materials and workmanship for a period of 365 days from the date of purchase. Tocca di Legno Eyewear reserves the right to determine manufacturing defects, and requires proof of purchase to to see if the product is under warranty. 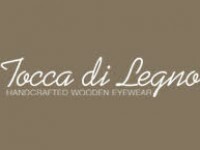 If a product is judged defective, Tocca di Legno Eyewear will repair or replace the item at no cost to you. Picture or scan of the physical receipt/invoice with a visible date of purchase. Picture of your bank statement with a visible and highlighted purchase date.